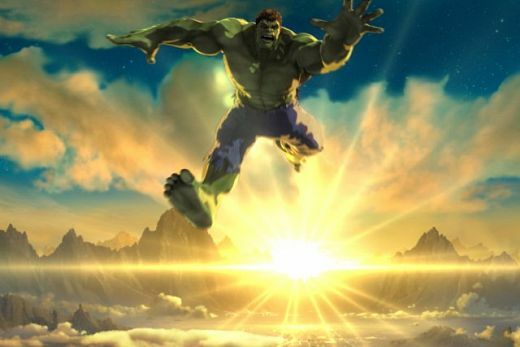 Wait for this Hulk to land to realize impact? On a prior post, Scope or: how to manage projects for organization success originally presented as Scope - Kills Bad Breath and Kills Projects, I introduced the value to focus on project scope before project launch. The numbers on project failure are sobering: 70% - 90% of all projects fail. The more projects an organization has the more operation resources are unavailable. Scope is about the clear alignment the project delivers to strategy. This post follows up both the blog and eBook with the first template available for you to download and use. An impact analysis intends to unearth the layers and levels the project will affect. Just like tossing a pebble into a pond, projects cause ripples that carry beyond the initial splash. Too often projects sponsors fail to link the change a project has to people, process, and technology internal and external to the organization. The impact analysis template help early-phase assessment to unearth all stakeholders, their needs, their awareness, and their insight into the project – these people are not only sponsors and customers, but the people to invite into the change journey as these folks could easily disrupt or halt all progress. Invitation develops deeper commitment, understanding, and ownership to the change they will work and live within. Involvement impacts success. Participation is the difference between getting a project done and getting a project accomplished. This is the beginning of risk management: managing the scope is managing the risk. This blog and link to the downloadable and customizable Impact Analysis template coincides with slides 22 - 27 of the Project Scope eBook. Update: 2019 I created a new post with a revised impact analysis template with focus on business unit, division, or product line silo impact. Involvement impacts project success. True project scope identifies all involved in project success. The template is fully customizable and provides not only a baseline view of impact, but a management, monitoring, and measurement tool along the project road. Select this link for an Excel file to edit and build your Impact Analysis Template. In 2018 the template was revised. Now there is a tab each for enterprise impact and for local department, division, business, product line impact. Also, view the Scope eBook presentation. Managers need to think broader and they should have the courage to convert impossible to possible. That’s what I believe. Definitely managers should know how much they are important for their company and that is the way how they can do something unique for their company as well. When management does not think of their role in the organization system it is leadership’s fault for letting the organization grow too fast, promoting individual contributors into management without clear preparation, and a broken culture. Managers, and others, focus on what makes their life easiest to accomplish tasks. In absence of guidance, direction, and consistency, they, like most, take care of themselves. There is a two-way accountability here. Thank you for the comment. What would you do to change manager disconnect?